Tired of the standard hotel experience? 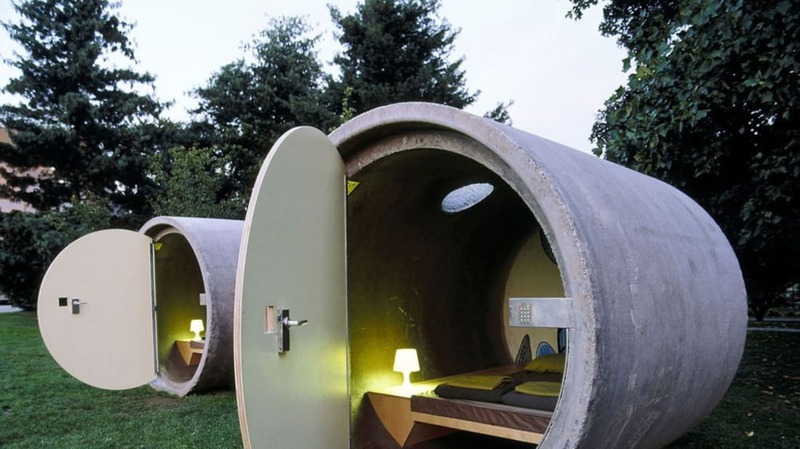 Austrian architect Andreas Strauss wants you to try sleeping in a renovated sewer pipe. Das Park Hotel, located by the Danube River in Linz, Austria, features giant pipes that have been converted into cozy bedrooms. Each unit, which can hold one person, features a bed, a lamp, a small table, and a mural painted by Austrian artist Thomas Latzel Ocho. Essentials like food and bathrooms can be found at a separate, public facility. Das Park Hotels runs on a "pay as you wish" system, allowing visitors to fork over only what they can afford. The rooms are available now until October.